When it comes to tree trimming and stump grinding, Precision Tree Care & Gardenscape Corp. can do it all for you. We provide landscape design and installation as well. Structural trimming is one of the best ways to give shaded plants more sunlight. 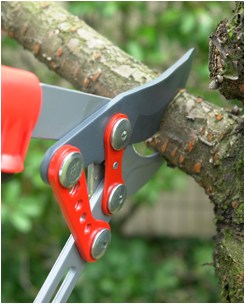 Removing the lower limbs of a tree is important to provide clearance for driveways, walkways, and buildings. We'll make sure that the skirt line of each tree is gradual enough not to jump from one height to another. Make your trees look stockier and less frail with our help. This is possible by pruning the leader and lateral branches of a tree to reduce its height and width. This type of trimming is best suited for pecan trees, which are naturally spindly. The same applies for fruit-bearing trees. Increase the structural integrity of your trees through our cabling services. We install high-strength cables around your trees. A professional arborist will determine the extent your trees need to be cared for. Discretion and good common sense are advised. Let us get rid of hazardous stumps that take up valuable space in your yard. Our crew will take care of cutting as well as grinding the remaining stump and root systems. That way, your landscape will look fresh and beautiful like never before! If you find that rainwater is collecting around your place, we'll make sure you use high-quality drainage materials to keep water away from your home or yard. Call us today in Dallas, Texas, so we can evaluate any drainage problem you may have.